What are Tulip Rewards? Tulip Rewards are my way of personally saying thank you to my frequent shoppers. You earn a tulip for every $50 increment you spend on Stampin’ Up! products through me and can redeem for up to a $50 shopping spree when you reach 10 tulips. I cover shipping, handling and tax on your spree, too! Orders of $50 up to $150 (total before shipping and tax) MUST include the host code BELOW in their order for their tulips to qualify. No exceptions, please. MY APRIL HOST CODE EXPIRES APRIL 30. Earn a tulip for every $50 you spend with me (total before shipping and tax). Example: A product order of $49 would not qualify for a tulip. A product order of $101 would qualify for two tulips ($50 x 2). 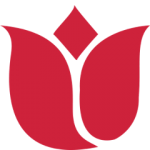 Separate orders cannot be combined to reach a tulip. YOU are responsible for tracking your orders and tulips. Click here for my handy tulip tracking sheet. $150+ ORDER (total before shipping and tax): PLEASE DO NOT ADD THE HOST CODE. Your tulips qualify without the code and you earn Stampin’ Rewards! Earn 10 tulips and redeem for a $50 shopping spree from me. I cover shipping and tax, too! Submit your qualifying tulip orders and choices for your $50 shopping spree by clicking here or email me here. Discontinued, clearance, Stampin’ Rewards and promotional products are subject to availability at the time the order is placed. I’ll confirm your qualifying customer orders and place your shopping spree order within three – 5 business days of redemption. Please allow an additional 7 business days for standard delivery of your order. Please be sure you are adding the host code to the host code box and not the coupon code box. See example below.